This robust and completely foldable wheelbarrow offers enough space for all kind of equipment you need during a multi-day fishing trip. The prolongable and foldable laterals provide two additional pockets and fix your carryalls, cases etc. safely during transportation. 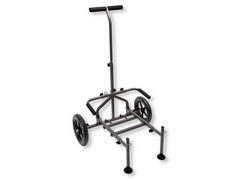 Strong and robust trolley with foamed tires. 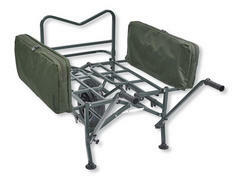 Perfect for transportation of heavy items at surfcast fishing etc. The extendable side arms offer a range of up to 48cm, the front arm can be extended up to 45cm.